KSKB is nonprofit - noncommercial. All gifts tax deductible. Donate safely and securely online, or by mail. KSKB, P O Box 440, Brooklyn IA 52211 - Make check payable to KSKB. Thank you, generous listener !! Sharathon Guests - October 2017 - KSKB Studio - 201 Jackson St, Brooklyn. NIGHTSOUNDS with Bill Pearce is aired 'elevenish' except for Friday nights. Florida Public Radio, Inc. an IRS 501(c)(3) exempt educational organization. Here are the organization's owned and operated stations. All are nonprofit/noncommercial. WPIO-Oct-1975 Titusville, FL 89.3 7,100 - Watts "We Pass It On"
WEJF-Sep-1992 Palm Bay, FL 90.3 30,000 - Watts "We Encourage Jesus Followers"
WEGS-Nov-1985 Pensacola, FL 91.7 20,000 - Watts "We Encourage God's Servants"
KREJ-Sep-1990 Medicine Lodge, KS 101.7 50,000 - Watts "Kansas Radio Exhalting Jesus"
KSNS-May-2000 Medicine Lodge, KS 91.5 96,000 - Watts "Keep Singing New Songs"
KSKB-Mar-1988 Brooklyn, IA 99.1 43,000 - Watts "Keep Smiling Keep Believing"
WKFA-July-2004 Saint Catherine, FL 89.3 3,900 - DA** - Watts "We Keep Faith Alive"
WKTO-Jan-1998 Edgewater, FL*** 88.9 25,000 - Watts "We Keep Telling Others"
KLOX operates with "main stuio awaiver" meaning that it does not maintain studio facilities in Creston. 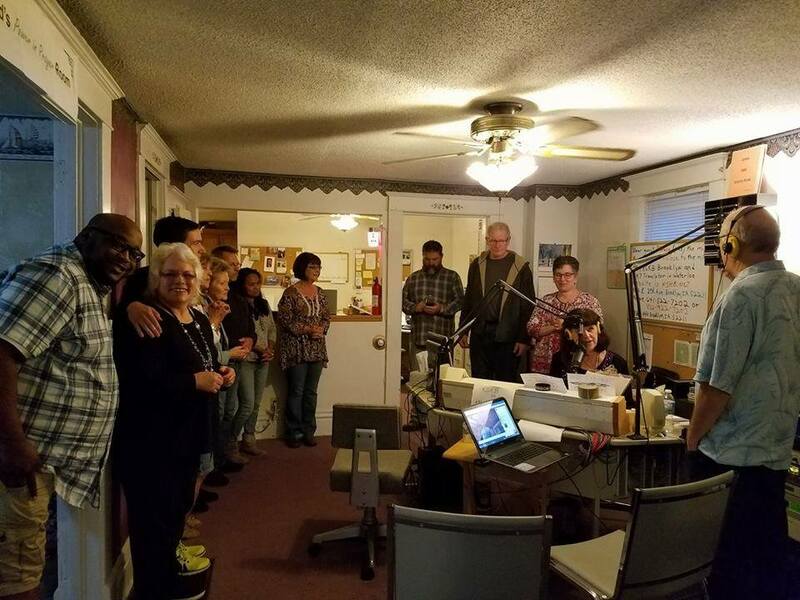 ***A sister station serving Volusia & Seminole Counties - Carol Henry, President: Mims Community Radio, Inc.